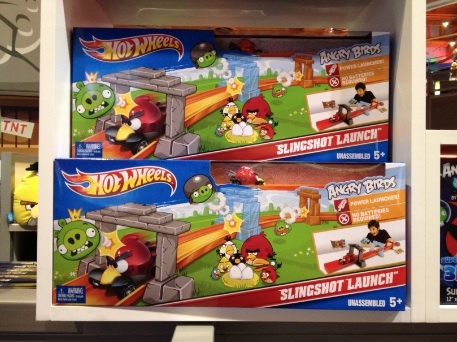 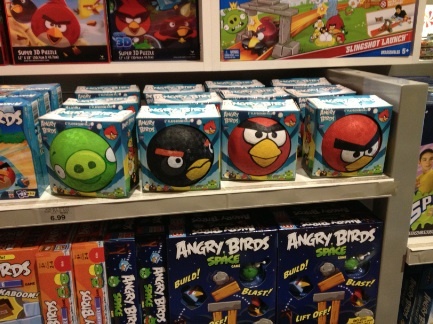 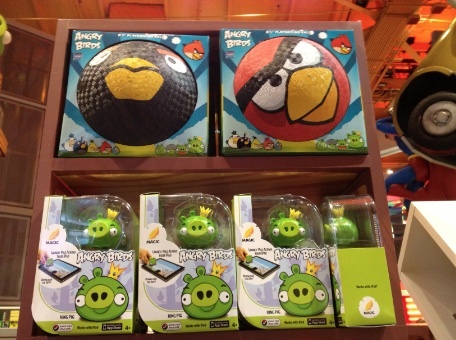 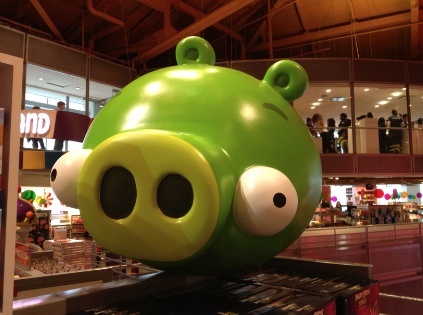 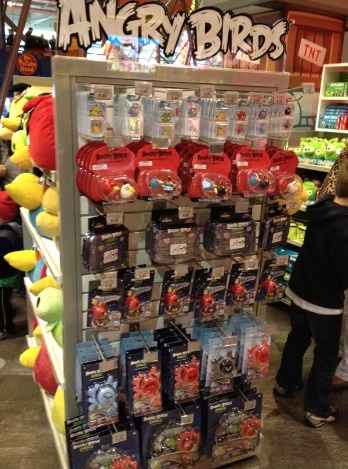 There's a good chance you've stumbled upon Angry Birds toys at the supermarket or favorite electronics store. 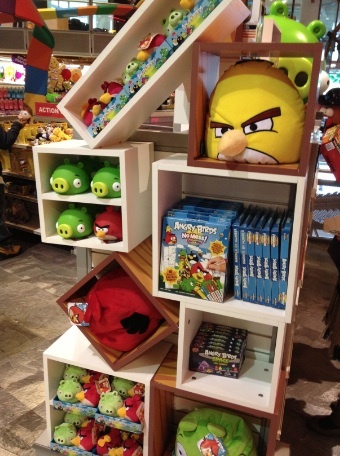 A few iPhone cases here, some plush dolls there. 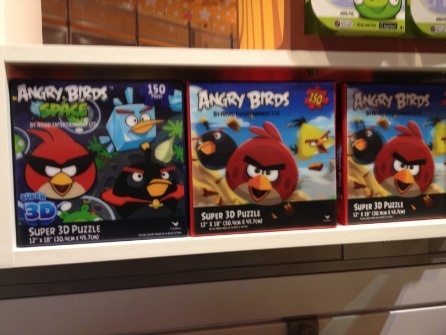 Big achievement for a mobile game, right? 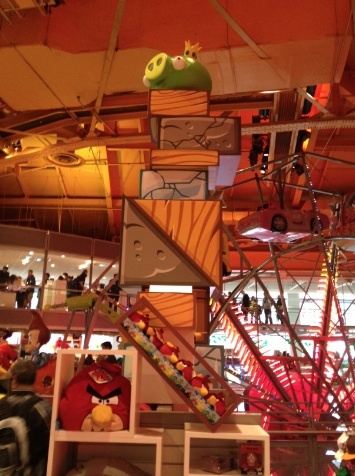 Well, if you think that's impressive, wait until you check out the recently opened Angry Birds section in New York City's Times Square Toys R Us. 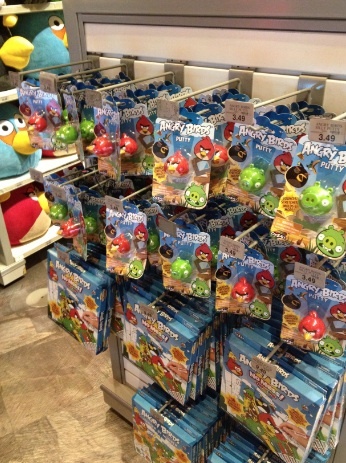 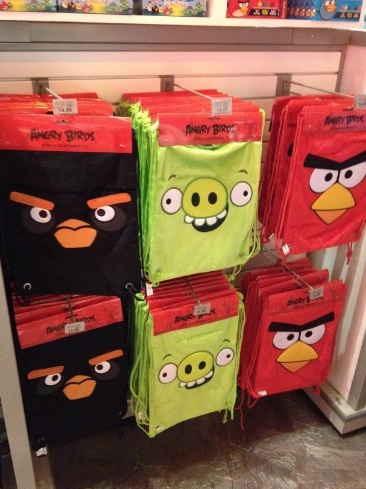 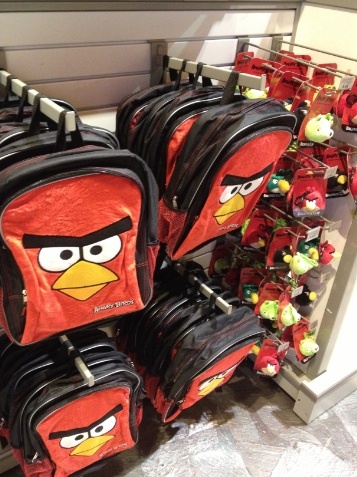 Located right next to the Star Wars toys (look for the Angry Birds Star Wars product line October 28), this is a fan's one-stop-shop for all things Angry Birds. 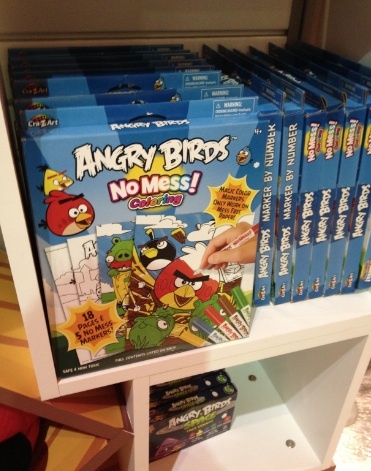 What's on hand? 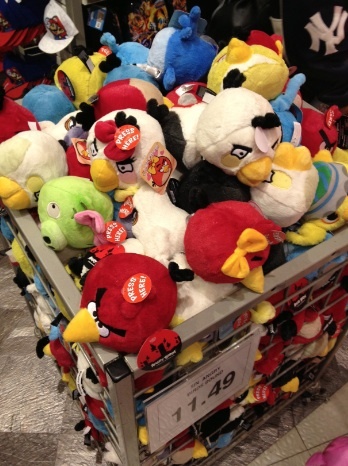 Plush toys, of course, followed by Angry Birds-themed playground balls, back backs, stocking caps, coloring kits, Hot Wheels, puzzles, play putty, pens, candy, Halloween costumes and plenty of other things we left out. 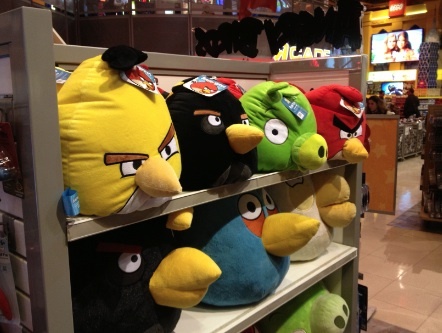 Suffice to say, you could do a whole lot of damage with a few hundred bucks. 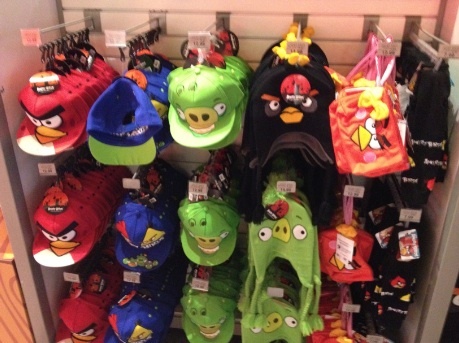 With this in mind, here's a look at the various things you can buy and gawk at.